Brexit Slips Down Priority List for Money Managers Outside U.K.
Fund managers have a lot to be anxious about other than the never-ending Brexit saga. With just over two weeks to go until the U.K. is due to formally leave the European Union and an exit deal still proving elusive, U.S.- based Eaton Vance Management and OppenheimerFunds Inc. are more focused on the dovish pivot among central banks, $10 trillion of negative-yielding debt and simmering trade tensions between the world’s two largest economies. 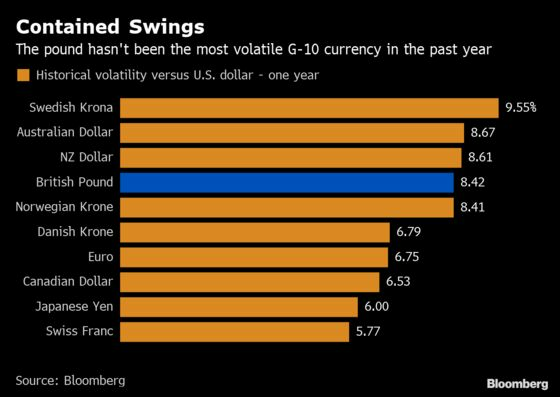 This is in contrast to 2016, when the Brexit referendum was a seismic shift for markets around the world, with the pound sliding by the most on record to a 30-year low. The vote reverberated across regions and asset classes and was seen heralding an anti-establishment wave in Western economies. Fears on what the ascent of populism would mean for Europe were followed by Donald Trump’s surprise victory in the U.S. election a few months later. The result of the 2016 EU referendum roiled global markets, wiping out about $3 trillion in stock-market value and sparking demand for haven assets from U.S. Treasuries to gold. Now there is a new stampede for havens, with yields on 10-year U.S. bonds falling to the lowest in more than 15 months, but the driver is a worrying global economic outlook. Brexit plays a “very small role” in his current allocation decisions, said de Longis, who is buying Treasuries for a firm with $229 billion under management. In Asia, fund managers from Sydney to Singapore are trying to gauge if Brexit will still have a knock-on effect on their region, but many are finding it too tricky to buy U.K. assets. 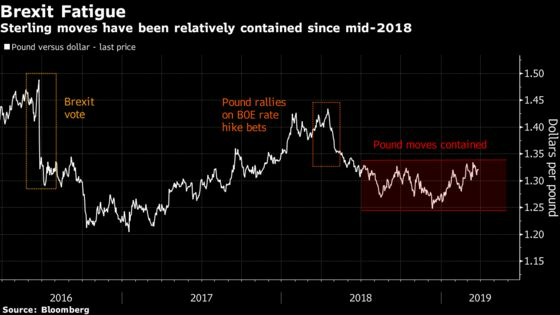 Even for those investing in the pound, the currency’s moves are now underwhelming predictions by market strategists. Sterling has been little changed this week, defying expectations for a 1 percent rally as lawmakers seized control of the Brexit process from Prime Minister Theresa May. Parliament is set to vote Wednesday on options that could include canceling Brexit or holding a second referendum. While Brexit could affect European Central Bank policies and in turn global bond yields, including Australia’s, from a risk-reward perspective it is best to avoid positioning for specific Brexit outcomes, according to Tamar Hamlyn, the co-founder of Sydney-based Ardea Investment Management. If Britain’s exit had triggered an exodus of other countries from the EU, that would have been a reason for markets to panic, according to Boston-based Andrew Szczurowski, a fund manager at Eaton Vance. As that hasn’t been the case and the U.S. economy is shielded from it, the saga seems to be losing its impact. “Obviously markets back in June of 2016 freaked out when the initial Brexit vote happened but since then it seems like we’ve been dealing with this for a number of years and the world hasn’t ended,’’ Szczurowski said.